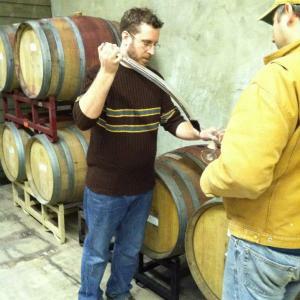 By Jordan Harris In Loudoun, the winemaking community is truly that, a community. 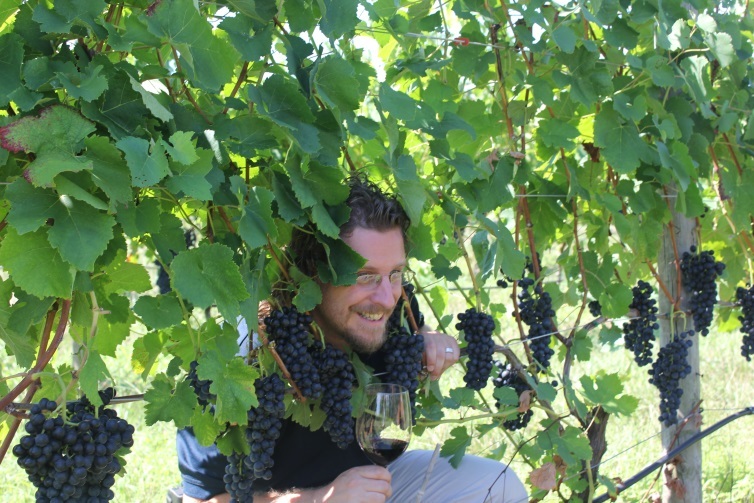 Below is an excerpt from Tarara Winery’s winemaker Jordan Harris about the harvest season and what it’s like as winemaker preparing for harvest and making the next best vintage of Loudoun wine. For about 6 weeks in September and October, there is a team of people that go missing from each winery. They are tucked into a cave or driving a beat up old pickup carrying tons of fresh grapes from vineyard to vineyard. We look like we have crawled from a ditch but with the biggest smile on our face. Confusion, stress, sleep deprivation, excessive facial hair, dirty clothes, abandoned social life. This all sounds pretty bad doesn’t it? 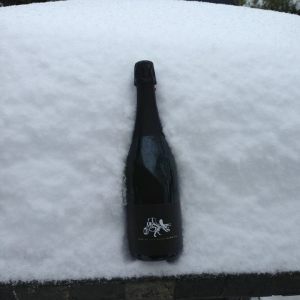 Well, let me tell you that it is all part of what winegrowers wait for all year with great anticipation. It is when our year’s work is all put together. We get to see if we did a good job. We get to see if Mother Nature was good to us. It is harvest time and we love it!!! The 2014 vintage really started in December 2013. The winter brought extreme cold and an abundance of snow that can be very helpful in dry years like this summer was. The cold soils combined with late spring resulted in a late bud break pushing the season back, but even Merlot and Sauvignon Blanc (very cold sensitive) came along just fine. And if we can avoid an early fall frost, we may in fact be able to pick some later varieties with lovely acidity and flavors. The next big part to 2014 was the moist spring leading to a somewhat late summer start. This gave us the soil moisture we needed for the year to keep vines healthy. What was awesome is that all of a sudden when we wanted it to stop raining, it did. The grapes enjoyed a dry, sun-filled, yet cool summer. Great for flavors, concentration and vibrancy. Now, harvest has just started and while we have had a few rains, we could still be looking at one of our most intriguing vintages yet with lively flavors and incredible acidity that we seldom see. 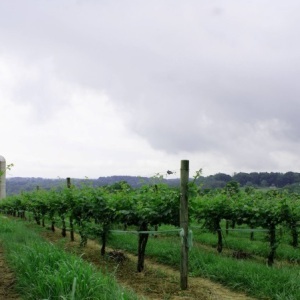 It could really be a year to remember for DC’s Wine Country! In the cellar it is always our goal at Tarara to process in micro lots to get a better understanding of each block in our vineyard. This helps us understand how to better grow the grapes for future years, but also gives us more to work with in developing our final blended wines to show the greatest complexity and sense of place. That is what we are about, ensuring our wines are a representation of their particular place and time. We have started harvest by picking two lots of Chardonnay from our oldest vines planted in 1987 and one small block of Viognier giving its first crop ever. We are thrilled with what we are seeing in both. We are now two tons down, with 178 or so to go. This is the time to get our hands dirty. The winery is aromatic with fermentations and rock n’ roll is blasting as we punch down red fermentations, stir white wine barrels and crush and press new grapes as they come in. We see the sunset and the sunrise. 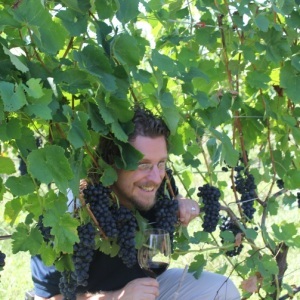 It is a blissful time of year that winemakers in Loudoun look forward to all year long. We’re tired, but happy. It is also a time of year that we as winemakers want rewards at the end of the day. In Loudoun we are so lucky to have many of those awards available to us. Wine making requires inspiration and what better way to get inspiration than tasting other wines from nearby or ending the day with a beer from one of Loudoun’s newest breweries. Oh yes, winemakers certainly drink beer, and a lot at harvest! Our group jokes that it takes a lot of beer to make great wine. In six weeks life will go back to that slower Virginia pace. We will be sitting around discussing the latest news while wearing Khaki pants and being clean-shaven, ready for our families to no longer be embarrassed by us at the grocery store. 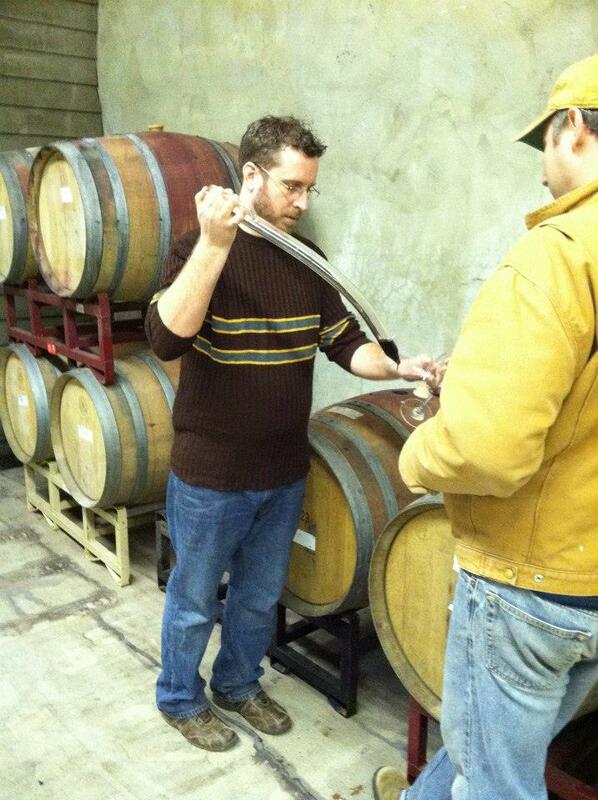 Until that time, this is Loudoun Winemaking time. A time to make the next vintage even better than the last so that after a long cold winter, our guests will have the opportunity to again experience something great in DC’s Wine Country.